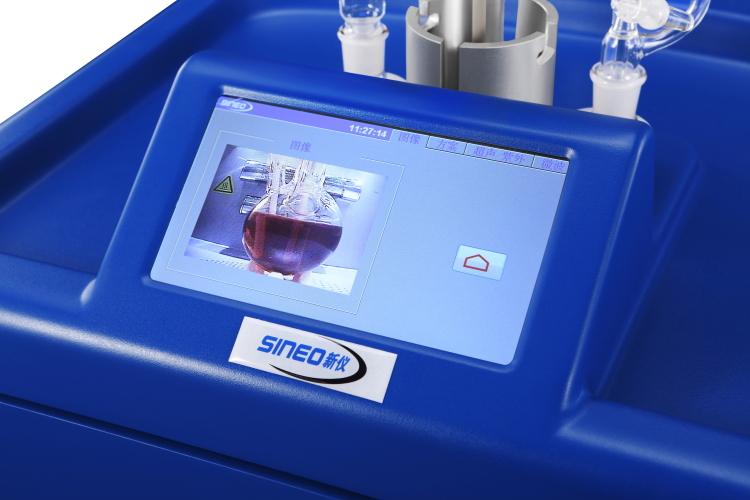 UWave-2000 Multifunctional Microwave Chemistry Reaction Workstation is the upgrade of Sineo’s best seller UWave-1000, with Sineo's 20 years of microwave chemical experience andscientific achievements of many scientists. It integrates the atmospheric pressure and pressurized reactions, microwave heating, ultrasonic wave and ultraviolet irradiation and other functions, and provides the workstation with flexibility and reliability for the microwave chemical research. UWave-2000 hasa intelligent operating system, and 7-inch touch screen control is simple and friendly; It realizes the multi-energy and multifunctional free combination and collocation with the modular design, giving inspiration to your experiment; Itcan conduct the 2000ml open vessel reaction and 500ml pressurized reactionmaximally, thus can help researchers conduct the mass production experiment.Regardless of organic extraction, pharmaceutical research, protein chemistry,novel material science, research of the graphene, polymer synthesis and manyother fields, UWave-2000 will provides various imaginations and feasibility ofthe microwave chemical research. Three energy sources - microwave, ultrasonic and ultraviolet irradiation can be free combined and work together,and software control them timing on and off, achieving the synergistic effectby multi energies. UWave-2000 adopts immersion ultrasonic launcher, with an adjustable scope of ultrasound power: 0 - 800W, frequency of 28KHZ, and automatic frequency sweeping and frequency locking; With two sets of ultravioletsource (standard UV lamp power is 300W, dominant wavelength is 365nm, while optional UV lamp power is 100W, and dominant wavelength is 254nm), it can conduct selective photochemical research. UWave-2000 is equipped with multiple reaction vessels, 50-2000ml glass flasks can meet the routine use, and optional multi-standards quartz reaction flasks can meet photochemical reaction under the ultraviolet radiation. 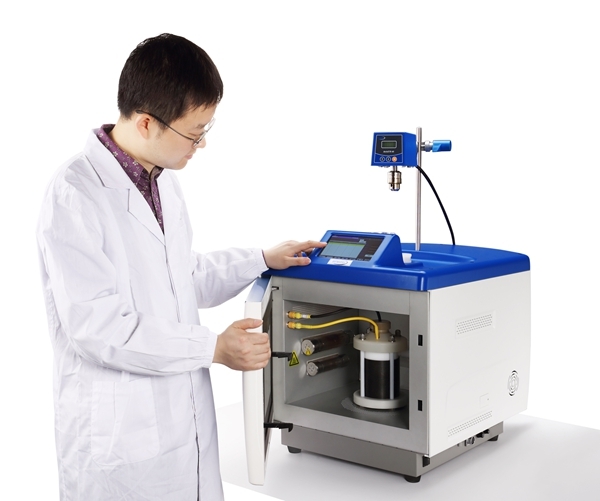 UWave-2000 can conduct the high-pressuresealed reaction, and is equipped with three kinds sealed reaction vessels -100ml, 200ml and 500ml, solving the amplification process from the laboratoryresearch to the production verification. The sealed reaction vessel can meetthe long-term reaction process under 230°C and 2Mpa, greatly expanding the temperature pressure conditions ofatmospheric pressure reaction. Under pressurized mode, UWave-2000 hasintelligent safety pressure control system for realizing the real-timeoverpressure alarm and active pressure relief, and external vessel with composite fiber and high strength metal frame ensure the safe and smooth reaction. High-precision dual-channel infrared temperature sensor and platinum resistor temperature sensor can switch automatically, with infrared temperature measurement range of 0 - 900°C (standard configuration of 300°C), platinum resistor temperature measurement range of 0 - 250°C and precision of ±1°C. 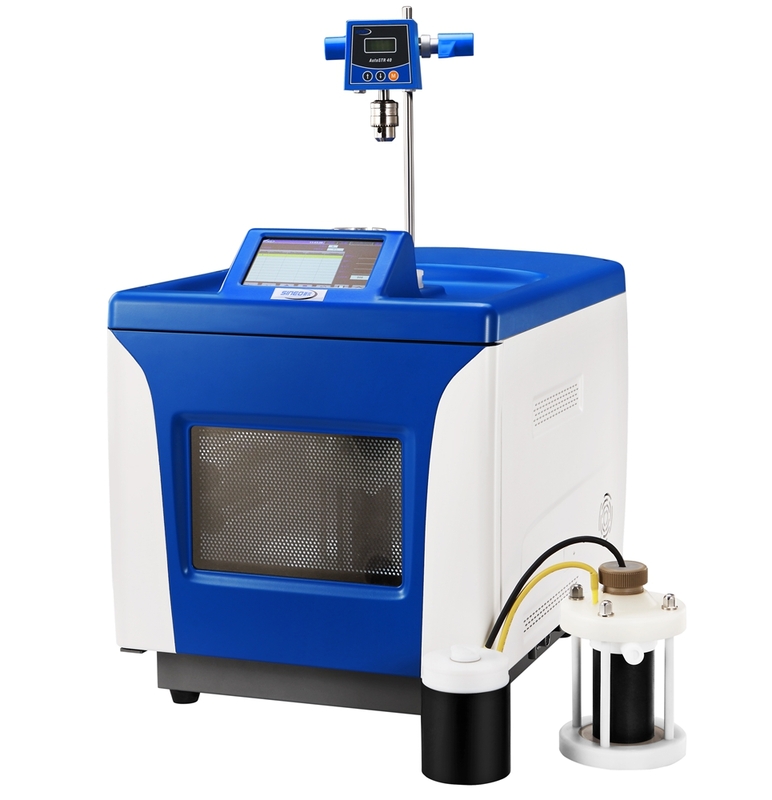 The pressurized reaction is equipped with the patentedpiezo-electric crystal (pressure control range of 0 - 5MPa, precision of ±0.01MPa), realizing the pressure monitoring of reaction process and ensuring the safe and comfortable experiment. The same system can conduct themicrowave atmospheric pressure and pressurized reaction and the software canjudge the type of the reaction vessel automatically for preventing the wrong operation. UWave-2000 is equipped with mechanical and magnetic stirring device. Digital constant speed mechanical stirring isespecially applicable to the high viscosity liquid reaction, with rotation speed of 30 - 1600r/min. It can realize real-time speed regulation and displaysthe rotation speed (±10r/grade),with torque of 300 N.m. It can stir clockwise or anti clockwise, with mechanical stirring rod material of PEEK or quartz. 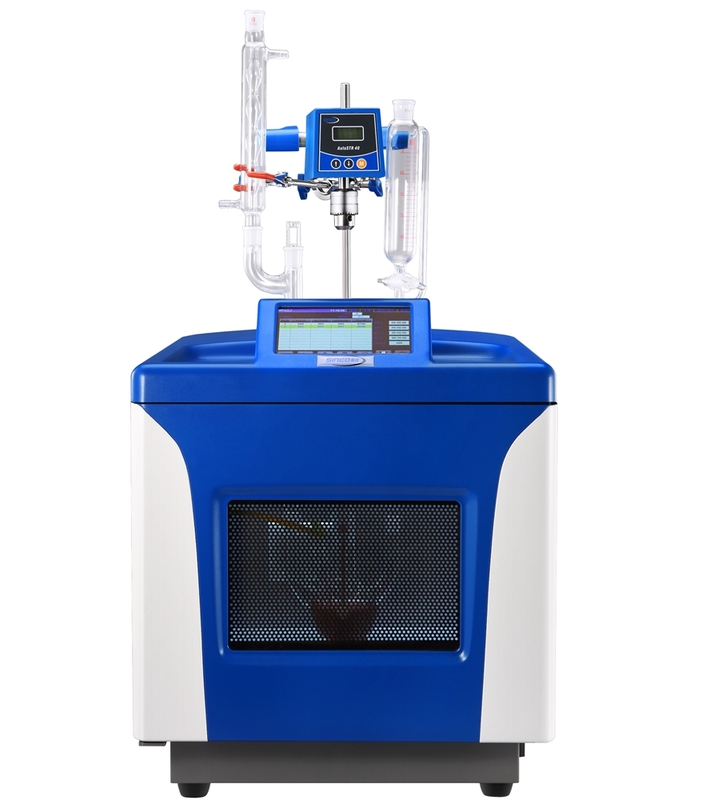 Built-in magnetic stirring rotationspeed is 0~800r/min, speed program is adjustable and of real-time display. UWave-2000 is equipped with intelligent control software. It can transmit the reaction parameters and curves byconnecting with the computer, and can record each reaction process and curve unlimitedly; It can conduct real-time control or change the reaction parametersof the host through the computer, realizing user's programmed on or off ofthree energy sources - microwave, ultrasonic and UV radiation. 7-inch color LCDtouch screen can make accurate setting and real-time display of various reaction parameters and curves, and conduct the real-time display of reactioncolor image. The chamber is equipped with color recording system, which canrealize real-time display of reaction image through the color LCD screen, andcan output the image signal for facilitating user's recording or external connection. It has large volume 316L stainless steel industrial oven chamber. The extra-large oven chamber with high-strengthanticorrosive coating treatment can meet the maximum 2000 ml atmosphericpressure reaction and; Oven chamber is equipped with high-speed fan, with airrate of 3m3/min. 3-gear speed change will be made automatically according tothe reaction situation; It is equipped with reflux condensation, dropping liquid, water diversion and other devices, and is equipped with inert shielding gas access pipe; This product passes IS09001:2008 and EU safety CE certification.